More than any other room in the house, the bathroom needs to be both practical and attractive. It has to be fit for purpose, but that's no reason to make it boring. If you are wondering how you can get the best out your bathroom decor, let me help. Firstly let's look at the walls. You may want to paint the walls or get them tiled. Some people get tiles around the bath and shower area and have painted walls for the rest of the bathroom. Get some advice about tiling your home here. Remember though that cleaning tiled surfaces can be a bit of pain. No one likes the mould that can grow so easily grow in the grout. If this is the case in your bathroom, try one of these shower surrounds. Units like these can make cleaning the bathroom a lot easier. If you are going to paint all or part of the bathroom, you will need to choose a specialised product. Choose a paint that is designed to withstand the heat and humidity that your bathroom will experience. By using a product like this you will ensure a professional finish and that your bathroom decor will last a long time. Nobody wants their paint to start peeling after six weeks! Fixtures and fittings are probably the most important and expensive choice you can make for your bathroom. Space will dictate whether you will go for a combined or separate shower and bath. Many people go for a matching suite that includes the toilet and Drop-in sinks as well. 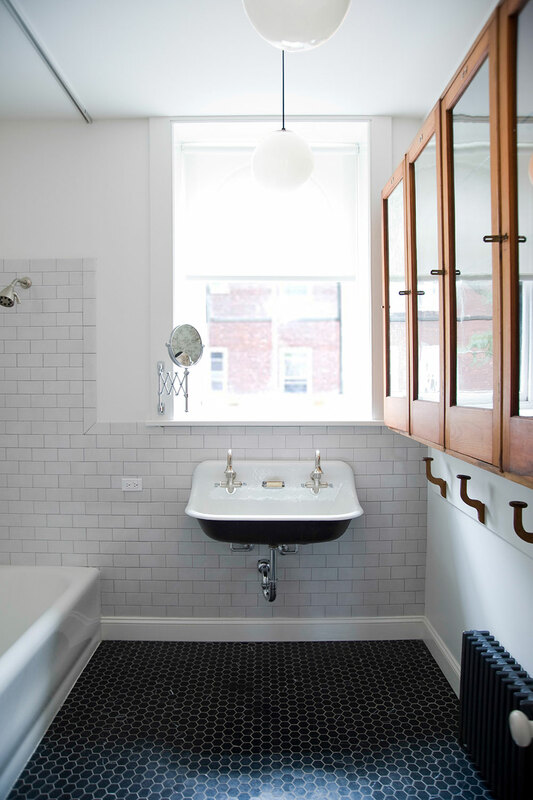 Popular looks at the moment are Victorian style bathrooms or a more naturalistic look. The more natural look uses glass tile and stone, keeping them in organic shapes. Combine with waterfall taps this is a bold luxe look that wouldn't be out of place in a classy hotel or spa. Some people prefer to keep the decoration in their bathroom to a minimum, as this saves on cleaning. However, you will need a mirror or medicine cabinet. Choosing a mirrored medicine cabinet is also great because you can use them for additional storage. Speaking of storage, It is always good to keep the look of your bathroom clean by hiding away all of your products. Other decorations you may consider are wooden letters that spell out things like ‘bath,’ ‘soak,’ or ‘relax’. Another popular theme at the moment is all things nautical. Think rope light pulls, wooden yachts and starfish. Don’t forget that you will need towels and a bath mat for your new bathroom. Try to pick towels that are of a high quality and will wash well. Remember to not use fabric softener on your towels as this will affect the pile and absorbency. If you are in need of some luxury in your new bathroom why not try some mood lighting or a jet bath. This can enhance your bathing experience and create a little retreat away from the world, making sure that your bathroom is the best it can be.